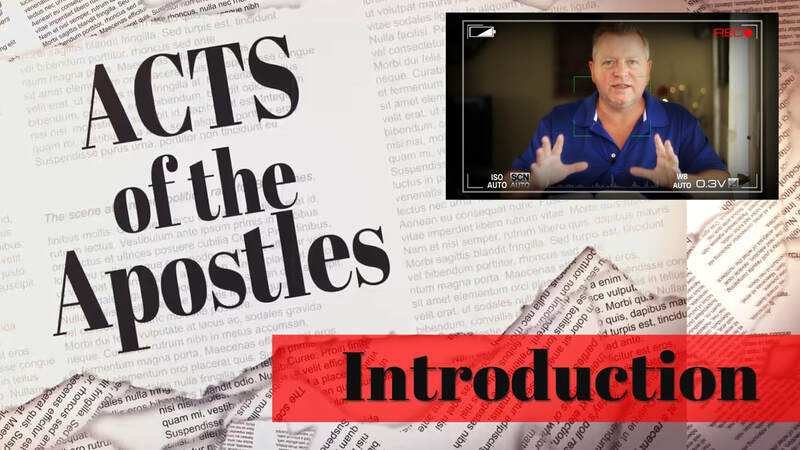 Welcome to another study video into the Books of Acts of the Apostles. We'll cover Chapter 3 in this video. Hopefully you have a King James Version (KJV) Bible handy and will read along. This Chapter could be title, "A Funny Think Happened On The Way To Prayer". This is Chapter 3 of a video series into the Book of the Acts of the Apostles by Patrick Sipperly. This study covers the events of Chapter 3 including the hour of prayer, the healing of the lame man at the gate called Beautiful, and what Peter preached to the people who gathered around. What are your thoughts about this chapter 3? Do you believe in miracles today? Has God given power and authority to his church to do miracles, signs, and wonders, or was that just for back then? Let's read what the scriptures say for ourselves. The Book of Acts includes details on the purpose of the holy spirit, fruit of the holy spirit sermon outline, the Holy Ghost in the book of acts outline, gifts of the holy spirit sermon. Leave any comments, questions, or feedback on this video and others below. Would you like to start this free video series at the beginning? Click Here For The Introduction. The 2nd Chapter of the Book of Acts is one of my favorite chapters in all of the Bible. We read about the outpouring of the Holy Ghost, the preaching of the gospel in the New Testament after the resurrection of Jesus Christ, how people responded to Peter's preaching, and the beginning of the church. It is a remarkable account of the power of God. Because there's some much in this chapter, I decided to split it up into 2 parts. This first video contains the reading of the chapter and highlights up through Peter's preaching. I hope you enjoy it! The Book of Acts follows the four gospels of Matthew, Mark, Luke and John. It is the only book in the New Testament with the preaching of the apostles to the lost telling them how to be saved. Please feel free to post comments, questions or concerns below or on YouTube. I don't claim to have all the answers or to be some biblical scholar. Perhaps like you, I'm hungry to know more about our God, his word, and his unending love for us! Gospel Preaching Online: How To Preach To More People! Missionaries who are sent out to preach the gospel in foreign lands are usually trained in the language and customs of that country. It's important to know how to interact with the people of the area. Similarly, the internet is like its own country, with certain rules and customs that should be considered before launching any teaching or gospel preaching online. I've been a minister for years, and more recently, the owner of a small video production business. To attract customers and build my business, I needed to learn how to get my services in front of people who were looking for them online. In 2008, I saw a presentation that completely changed my understanding of how the internet works and how to work with the search engines for the highest ranking. Ever since then, my approach to people on the web has changed. My message hasn't changed but how I present it has. It's changed for both business and and ministry. Let's talk about being wise. One of the most important yet often overlooked parts to reaching people on the internet is doing keyword research before creating content. Keyword research means exactly that: researching keywords that people type into the search engines to find things. Believe it or not, there are tools available that will reveal what specific words and phrases people use to find information. I've included resources below so keep reading. Here's the reality: Your post will probably only be seen by those who visit that blog frequently or who get a direct link to that post. It may never get beyond those chosen few. If that's your goal, great! You can stop reading now. By contrast, if you performed keyword research first, you might have discovered that the phrase “Preaching The Gospel” has nearly 400 Google searches every month. If you taylored your content around that specific keyword phrase, not only would you have your regular blog readers checking it out, you're likely to be found by many others month after month. A slight change in your approach may drastically change how many souls you reach. I use keyword research EVERY time I post to any of my blogs and I'm regularly surprised at what people search for. From “how to save my marriage” to “why get baptized” to “gospel preaching” thousands of Americans turn to Google – not the church – for advice and answers to some of life's most challenging questions. That's heartbreaking, but it reveals an opportunity for those of us who want to reach the lost for Christ via the web. If you feel led to start your gospel preaching online and to reach souls on the web, please consider doing some research to magnify your impact. Paul wrote to the church at Ephesus: "See then that ye walk circumspectly, not as fools, but as wise, Redeeming the time, because the days are evil." Eph. 5:15-16. One way to redeem that time is to match your message to your audience with keyword research! 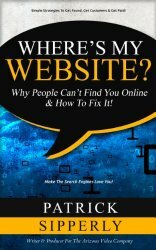 After taking multiple websites and blogs to the top of the search engines, I wrote a short book called, “Where's My Website?” that condenses 5-plus years of trial and error into a practical guide to help people get found online. Though I wrote it mainly for small business owners, the principles and techniques are exactly the same for churches and ministers. The book is short and to the point so you can read it, consider the tools I use and recommend, and start implementing proven techniques to preach to more people within a few hours. It's a Kindle book but you can download a free reading app for other devices if you don't have a Kindle. What Is The Gospel of Jesus Christ? Listen To The Audio! Jesus Christ came to this world seeking to save people from sin, from themselves and from eternal ruin. Anyone who receives his words and obey his voice will find a more abundant life now and in the end, life eternal. Oddly, he came to his own people, but they rejected him. Apparently, Christ didn't come the way they expected. He didn't arrive on a white horse with a gleaming sword to rescue them from their earthly enemies. No, he came in under the radar of even the learned of the day as a baby born of a virgin. He grew into a hard working carpenter until it was time for his life's ministry. He personally hand-picked a dozen men to travel with him and to preach the message of his kingdom. One of those twelve betrayed him. He was falsely accused, severely beaten, and crucified on a cross. Not because he was guilty of anything; but it was all part of the unfolding plan of God to save mankind. Christ died for the sins of the world according to the scriptures. He was buried in someone else's tomb, and three days later, he rose from the dead. For the next forty days he showed himself alive to as many as 500 of his followers. He then commanded his remaining disciples to preach the gospel to the ends of the earth. The gospel of Jesus Christ they preached some 2000 years ago in Jerusalem is the same life saving gospel today. It hasn't changed one bit. It is the gospel of death and burial and resurrection. It is the power of God unto salvation to everyone who believeth. It is the strait gate and the narrow way that leads unto life everlasting. Is that what you want today? Eternal life? Just as Christ died for our sins, so we must lay down our own lives. Jesus said, “For whosoever will save his life shall lose it: and whosoever will lose his life for my sake shall find it. (Matthew 16:25) Losing our lives this way is called repentance. It is confessing and forsaking our sins and a turning away from our wicked ways to receive mercy. And just as Christ was buried, so we must be buried with him by baptism in Jesus' name for the remission of our sins. Sin is not traded away or wished away, but must be washed away by the perfect blood of the Lamb of God that was slain from the foundation of the world. Every single soul recorded in the scriptures was baptized in the name of Jesus Christ for there is none other name under heaven given among men whereby we must be saved. Just as Christ died for our sins according to the scriptures, so we must die. Just as Christ was buried, so we must be buried with him by baptism. And just as Christ rose from the dead, so we should rise to walk in newness of life. Don't stop short of receiving all of God's promises for and your family! Receive the Holy Ghost today! Ask the Lord for it. It is the Spirit of Truth which the world cannot receive, but is given by God to them who obey him. It is the Spirit of Christ in us offering comfort and life changing power that will one day quicken our mortal bodies to escape this world and to be ever with the Lord. Don't let that day catch you unaware. Listen to the voice of God in your heart today, even right now. Believe the Gospel of Jesus Christ. Repent of your sins. Don't make excuses or try to justify yourself. Confess them and forsake them. Be baptized in the name of the Lord Jesus and let the blood Christ wash away all the sin and filth of this life, and be filled with the Holy Ghost. Begin a new life in Christ today! 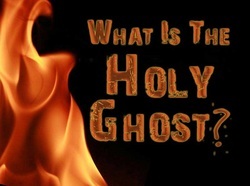 What Is The Holy Ghost? Why Should I Receive It? One of the reasons why Jesus Christ came was to give us life more abundantly. The longer I live the more clearly I see how much of that is heart and head related and not of money, possessions or social status. Things cannot satisfy an empty soul, nor will dollar bills fill the spiritual vacuum in our lives. That's a God-sized job and thankfully, He's up for it. He who fills heaven and earth desires to fill us with his Spirit! Simply put, the Holy Ghost is the Spirit of God. God is a spirit and is all around us, but is not in us until we are baptized with the Holy Ghost like the Bible tells us. Receiving the Spirit was so vital that Christ commanded his disciples to not start preaching the gospel until they had been baptized with the Holy Ghost. The Holy Ghost would give them power to be witnesses unto the Lord and to carry the gospel to the ends of the earth. 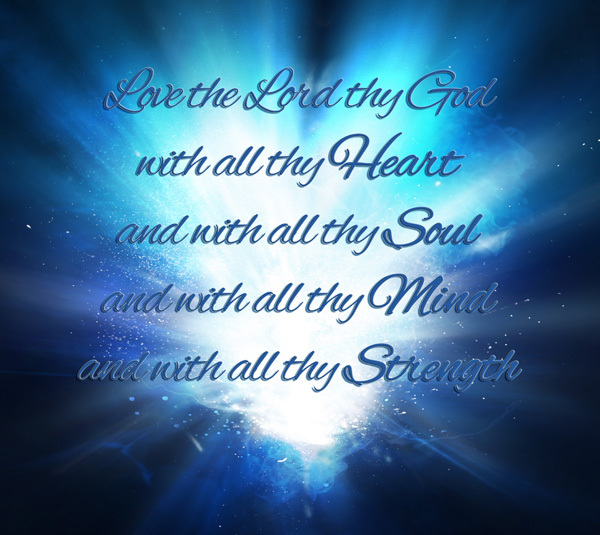 We are living in the last days and if there was ever a time we needed the Lord it's today. The Holy Ghost is that powerful, life-changing Spirit of God dwelling in us, causing us to walk in his ways according to his word. I can tell you from experience that I am a different person after receiving the Spirit. Have you received the Holy Ghost? If not ask the Lord for it.